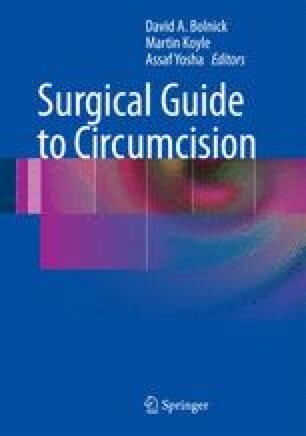 This chapter is intended to serve as a guide to the prevention and management of acute complications in newborn circumcision. There are no absolute right or absolute wrong answers, although common sense can usually point to the correct direction. Sometimes complications are foreseeable and preventable and sometimes compounding factors present with undesirable consequences. Furthermore, management of acute complications is rarely supported by evidence-based data, given the rarity of these events. Rather, the recommendations herein are primarily based on the accumulated years of experience of the authors.